Additional resources are available for healthcare professionals, patient advocates, and state and federal legislators and their staffs to share with uninsured individuals in their communities. 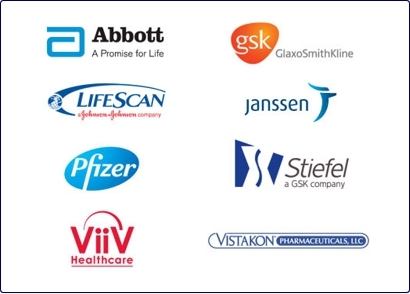 Together Rx Access provides you with resources to help you educate your patients, constituents, and those you serve. Share the information we have here and visit our website for more. Together, we can help families and communities take care of what is most important – their health! Throwing expired, unwanted or unused medicines in the trash or flushing them down the toilet may pose serious risks to your family. SHARE these simple preventive steps, which can help protect the health of those you serve, their families and our environment. Parents within your community or parents of your pediatric patients may not realize that an increasing number of young children are consuming coffee and caffeinated drinks. This is a concern, as caffeine can have short- and long-term effects on a child’s health. Most parents are aware that caffeine is a stimulus and tends to make children hyperactive, but they may not recognize other symptoms. How do your constituents, patients or community members define themselves? How do you define yourself? These are heady questions; ones we ask ourselves all of our lives as we try to establish our identities, and find a place for ourselves in this world. ©2012 Together Rx Access, LLC. 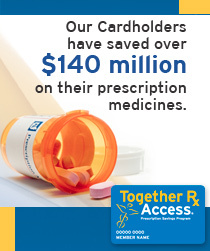 Together Rx Access and the Together Rx Access logo are registered trademarks of Together Rx Access, LLC.